You all know how I feel about politics and voting. Your voice can’t be heard if you don’t vote. That’s why I hope if you live in my homestate of Massachusetts, you’ll get out there vote for Ed Markey for Senate. Today’s special election is being held to fill John Kerry’s vacant Senate seat. Special elections are crucial than highly publicized national elections because they yield lower voter turnout. Local politics often bears a greater impact on our daily lives. The polls close by 8pm TONIGHT. We need more pro-choice allies, more LGBTQ allies and more environmental allies in the Senate. 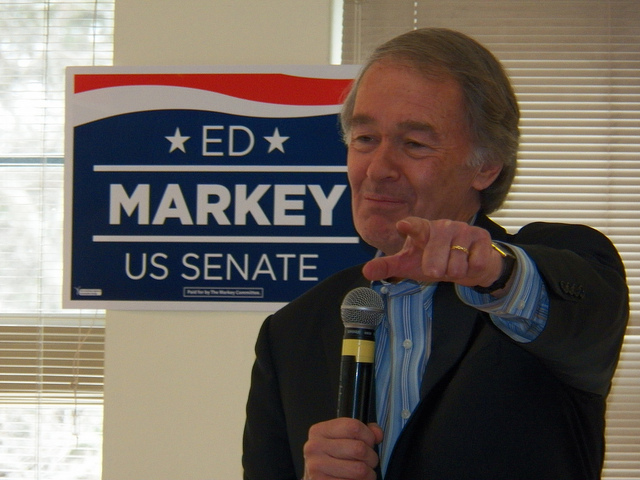 Vote for Ed Markey to join Elizabeth Warren in the Senate. Get out there and make your voice heard! Tags: Ed Markey, environment, equal pay, LGBTQ, Massachusetts, politics, prochoice, reproductive rights, Senate. Bookmark the permalink.